Used in low voltage energy distribution. They are strongly recommended for installation in security services that must work during of a fire situation, such as detection and alarm, way guidance and fire fighting systems. Offers fire retardant, halogen-free, low acidity and corrosivity of the combustion gases, reduced darkness of fumes generated during combustion. It is also excellent in mechanical protection during laying, installation and service. 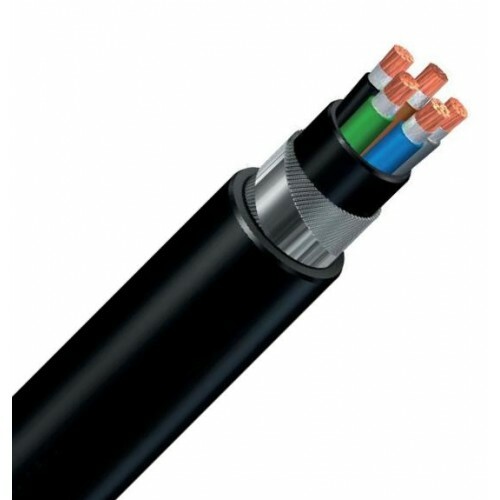 Due to its flameproof ability, it is highly recommended in areas with high explosion or risk of fire.This cable is able to work at very low temperatures (-45oC). 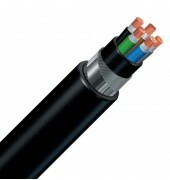 Fire Resistant according to IEC 60331. Copper conductor class 1 (up to 4 mm2) or class 2 (all the range) according to IEC 60228, Mica tape, XLPE insulation, Halogen-free thermoplastic polyolefin bedding, Galvanized steel wires armour for multicores or aluminium armour for single core, Halogen-free thermoplastic polyolefin sheath.